Deviantart member SaphFan32 has created some interesting Nokia concepts, but they’re not phones as you may expect, but rather laptops. Nokia has tried its luck with a laptop before, or better said a booklet, but the product failed to impress, because of the high price. 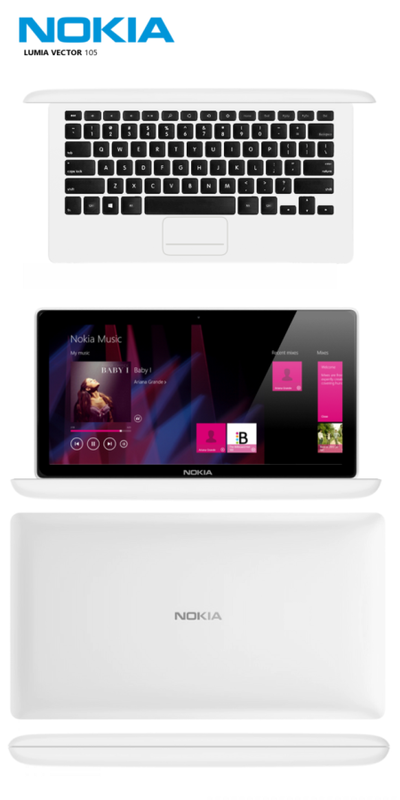 This is why the designer imagined the Nokia Lumia Vector 105 midrange laptop with a price range between $400 and $600. The device would come in different colors and it runs Windows 8. It feels like a Vaio met a MacBook and the Lumia identity can especially be felt around the edges of the device. 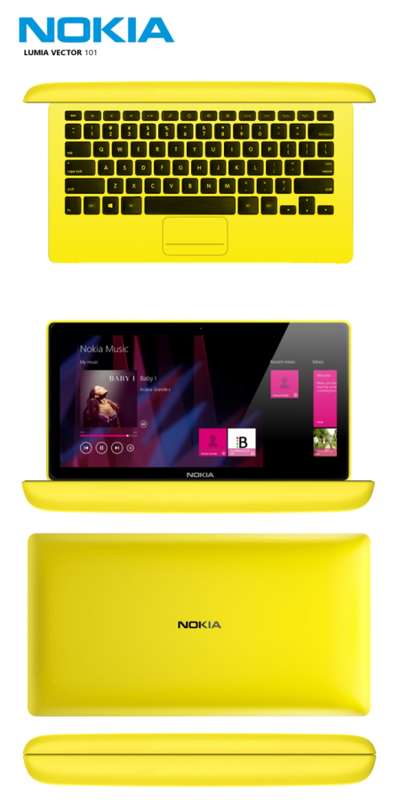 The screen is probably a ClearBlack AMOLED and moving on to the yellow model, this one is the Lumia Vector 101 budget laptop concept. It’s bulkier, it’s a sub $400 unit with basic features and Windows 8 as well. The color choice makes it appealing to young people and I can see an Intel Atom inside it, 1 GB of RAM, 32 GB of storage and some special apps for extra connections and sharing with Lumia phones. Would you buy these Nokia laptops?